The employment agencies and recruiting services listed below are based in and near Albany NY and help both employers and prospective employees with recruiting services and job placements throughout the Capital Region. Whether you are looking to fill entry-level or executive-level positions, count on these professional staffing and recruiting services to match the correct person to the correct role. There are also several Albany area employment agencies that can help with temporary or temp-to-hire staffing needs. Many also offer other workforce solutions, from payroll and human resources to training and consulting. Braathe Enterprises provides consulting, training, and interactive presentations on topics such as Marketing, Communications, Human Resources, Education, and much more. Alaant Workforce Solutions goes above and beyond the duties of a staffing and recruiting agency. They not only help organizations fill positions, but they arm companies with necessary tools to address hiring practices, employee retention, and more. Walrath Recruiting offers a myriad of staffing and recruiting services including direct hire, temp-to-perm, and long term contract placement. In addition, we specialize in Executive recruitment nationwide. Walrath Recruiting is a NYS Certified MWBE. Since 1979, AccuStaff has been a leading staffing and recruiting agency, helping their business clients in the Capital Region fill temp, temp-to-hire, and direct hire positions in administrative support, technical, light industrial fields, and more. Find Talent Quickly and Easily on the Web! 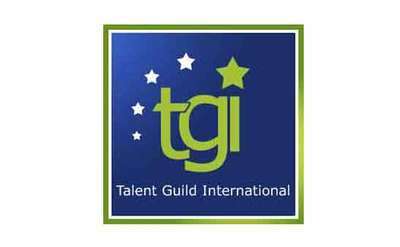 TGI is a dynamic group of on-camera, voiceover, print, and theatrical talent that recognizes there is strength in numbers if we work collectively to advance goals benefiting each individual member. Tech Valley Recruiting specializes in direct hire recruitment for Capital Region manufacturing and engineering companies. Companies of J.J. Young helps Capital Region employers fill temporary and permanent job openings by utilizing its database of high-quality candidates. Do you need new talent? Are you looking for a new opportunity? No one knows Albany like Snelling. Find your new hire or next employment opportunity with Snelling. GTM has offices in Clifton Park and Glens Falls NY. The established payroll industry leader offers flexible, affordable payroll services for businesses of all sizes, including household employers. Employers can take advantage of a variety of Payprep services, including payroll and tax checks, employee data sheets, direct deposit, year-end reporting, and more. Benetech has more than 30 years of experience in employee benefit solutions, compliance and auditing services, and workforce management. Dress For Success offers long-term solutions that help women break the cycle of poverty. They provide professional attire, development tools, and a support network that enables women to thrive. 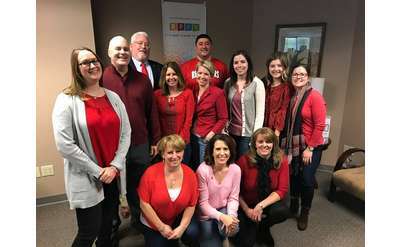 Offering payroll, HR software, and human capital management services in the Capital Region, ADP has the solution for your business needs. Aerotek offers staffing services, workforce management solutions, and more in its effort to bring great people and great organizations together. Hornby Zeller Associates uses its rigorous analytical processes to answer questions posed by government and non-profit agencies. The company also offers a variety of related services. Nicholas J. Marino & Co., Inc.
Nicholas J. Marino & Co. offers employee benefit programs to both private and public businesses, and also counsels employers and employees on the details of their benefits. Job seekers and employers can count on Kelly Services, with its decades of experience in staffing and related matters. Tech Valley Connect is designed to provide concentrated assistance to relocating professionals and their families in the Capital Region. Program focuses: spousal employment, family assimilation, cultural transitions & strategic volunteer initiatives. Connecting workers with jobs and employers with workers, PeopleReady gets the Capital Region working in general labor, hospitality, manufacturing, logistics, marine, construction, skilled trades, transportation, warehousing, distribution, and more! For small and medium-sized businesses in the Capital Region, Fair Winds Strategies offers a variety of consulting services ranging from human resources and project support to finance and marketing. Dr. Tom of Careers in Transition offers quality career counseling services including career testing, job search strategies, and resume and cover letter writing. Call him for a free 20 minute initial phone consultation. Looking for temp-to-hire, contract jobs, or a permanent position? Adecco can help you find the perfect fit in the Albany NY area. PrimePay offers a variety of payroll and HR services, including time clocking, online payroll, compliance solutions, and employee benefit packages. Westaff has been making a difference in people's lives since 1948. From helping people find jobs to helping businesses grow, we take pride in delivering quality service. Let us help you achieve your workplace goals. Companies of J.J. Young uses its database of high-quality candidates to help Capital Region employers fill temporary and permanent job openings. Schenectady County's One Stop Center offers employment services including job listings, career counseling, job search and placement assistance, and more. Strategic Resources offers a variety of services, including professional recruitment for both permanent and temporary positions, human resources consulting, career search consulting, and related training. Saratoga Human Resources Solutions, Inc.
At Saratoga Human Resources Solutions, our Human Resources Consulting Services Practice is designed to offer a broad range of customized, cost effective solutions to companies who require assistance in the area of human resources management. Pinnacle Human Resources, LLC provides companies with targeted human resources support solutions specifically tailored to fit their needs. Our philosophy is based on the idea that high quality human resources support should be available to all. Do you need to add someone to your team, but you know you need the right skills and the right personality? Trust Capstone to help you acquire the right talent to optimize your team. CheckWise Payroll is your company's solution for your payroll, tax management, human resources, and timekeeping needs. Providing comprehensive services in the Capital Region, CheckWise Payroll works with businesses of all sizes in all industries. Trust The Nurse Connection Staffing for all of your nurse-related staffing needs. They have an extensive screening process and place only the highest quality candidates. Paychex offers a wide range of payroll solutions, plus HR services, 401(k) plans, insurance, and other employee benefits. Capital EAP offers an array of services for both individuals and businesses ranging from counseling and support to HR and supervisory services. Sandler Training helps Capital Region companies achieve new levels of success through sales, management, and leadership training. Find employment opportunities in technology, engineering, industrial, administrative, and professional industries near Albany. Second Chance Opportunities offers recovering addicts support and resources to help them bridge the gap from recovery to long-term sobriety and become economically independent. Manpower works with businesses of all sizes on staffing and other workforce solutions. The agency also helps candidates find relevant jobs.